Actor Allu Arjun and Sneha Reddy were engaged on the 26th of November at Sneha Reddy’s residence in Jublee Hills, Hyderabad. The couple is expected to get married in February next year. Sneha Reddy is the daughter of the businessman Sankar Reddy, who also owns an engineering college. Allu met Sneha through some common friends and gradually they started liking each other. 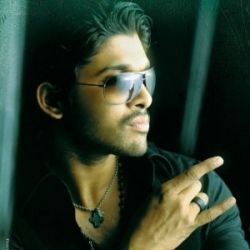 The 27-year-old dancing sensation of Telugu films, Allu Arjun is the son of producer, Allu Aravind, and nephew of the famous actor Chiranjeevi, his cousin Ram Charan Teja also stars in films. On screen he has romanced some of the beautiful ladies from the industry, like Kajal Aggarwal and Anushka Shetty, and was also linked to the sultry Lekha Washington in the past. Arjun wanted his family to choose a bride for him; so in his case, it’s both love and arranged. “I would like to invite all my fans, friends of the film industry and media, but lack of time and right place for me to keep this very private and personal ceremony,” said Allu Arjun. The engagement ceremony will be attended only by close friends of both families. ApunKaChoice will bring you the the Allu Arjun and Sneha engagement photos and videos as soon as they are available.